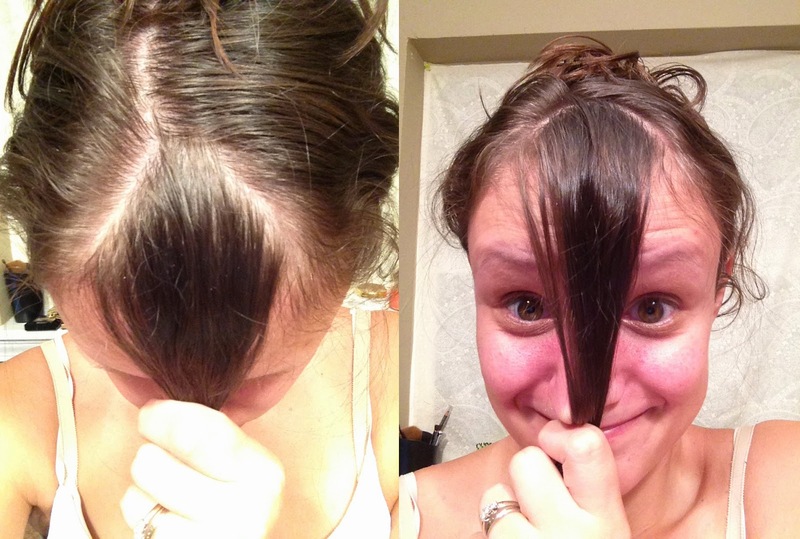 Clip the rest of the hair up and leave side sections down. Cut right side section first. Using already-cut hair from back sections as a guide, cut from right to left. Your initial cut of the fringe should not involve shortening the hair by more than 20-25% of its total length. In addition, you may want to consider taking a much wider fringe section (from temple to temple) and combing it forward into a vertical gathering, so that you can cut the fringe in such a way that each side angles upward slightly. Cut your fringe at the right length in each lock of hair, as evenly as you can to make them match. Feather and muss the bangs out with your fingers for a fuller look. Feather and muss the bangs out with your fingers for a fuller look.